South Park's penchant for biting satire and social commentary was on full display leading up to the release of the show's new videogame South Park: The Fractured But Whole last month. Now, some players have found another clever real world reference within the game's virtual world. Eagle-eyed Twitter users have noticed that a map not unlike that of Toronto's subway system appears in the game. 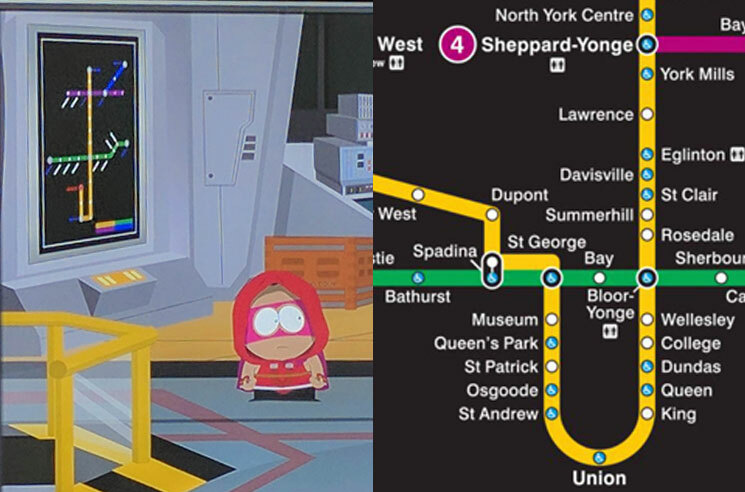 The map, which can be found inside Dr. Mephesto's lab late in the game, resembles the Toronto Transit Commission's layout of green, yellow and magenta train lines, including the downtown core's unmistakable U-shaped line. A Reddit thread dove into the discovery further, suggesting that game developers working at Toronto's Ubisoft studios could have worked the map into the game. You can find some screenshots of the map below, as well as some comparison up above. South Park: The Fractured But Whole arrived last month. The long-running show is currently airing its 21st season.